Message for Best Friends : Friends are one of the precious gifts of God. We live our everyday life with them. Every day we exchange different emotions with each other. For this, we exchange messages with each other. Sometimes we need to let them know how they are important in our life. For this, we send some cute messages with our friends. Sometimes we want to make our friends laugh. For this, we send funny messages to them. Because all we want is smile on our friends face. In hard times, when our friends are broken, all we need is to motivate them. For this, we send them motivational messages, which help them to feel good in bad times. So in our everyday life, we not only communicate with our belongings face to face but also with other ways. Messaging is one of them. So we should keep messaging with our friends. 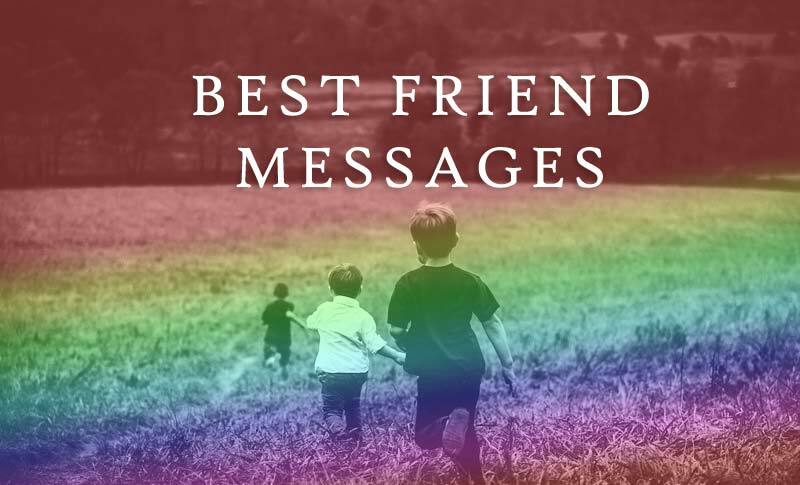 Here we listed some best messages for your best friend with sweet, funny and motivating words. You have taught me what the meaning of true friendship is. Sometimes I feel proud of myself because I have you whom I can proud of. My life has become more beautiful than ever since I met you. You are the best friend ever. You are the guy who brightens my smile when you are with me. When I think about you as a friend, I can only thank you for being the perfect example of friendship. Thank God that he doesn’t place a price tag on friends. Otherwise, I could never afford a valuable friend like you. A friend like you is the biggest asset without any depreciation in the balance sheet of life. A true friend enlightens the entire life. 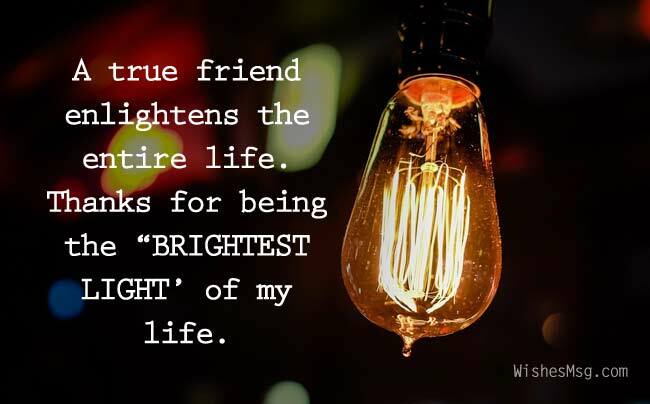 Thanks for being the “BRIGHTEST LIGHT’ of my life. You are my best friend who listens, doesn’t judge and somehow makes everything alright. Every people got something good or bad in his life. You are the best thing I have got in my entire life. As soon as people heard our weird conversation, they will put us in a mental hospital. If we were on a sinking boat and we had only one life vest. I would miss you so much. I will never break your heart; I will break your bones because you have 206 of them. We are best friends. Because you don’t let me do stupid things.. alone. We are best friends for so long. I can’t remember you or me is the bad influence. I am sure we will be best for so long. Because we are so lazy to make new friends. Don’t worry my friend common sense is the flower that doesn’t grow in every human being like you. I will never let you feel you lonely. I will keep disturbing you. You are my favorite person with whom I like to pee in the ocean. Don’t blame for my face that I make when I talk to you. To gain raw materials are the pain. Look something beyond your pains. I wish you brighter days ahead. To prove anything to anyone don’t go out of the way of your mission. You will have fans and enemies whatever you want to do. Little drops of water make an enormous ocean. 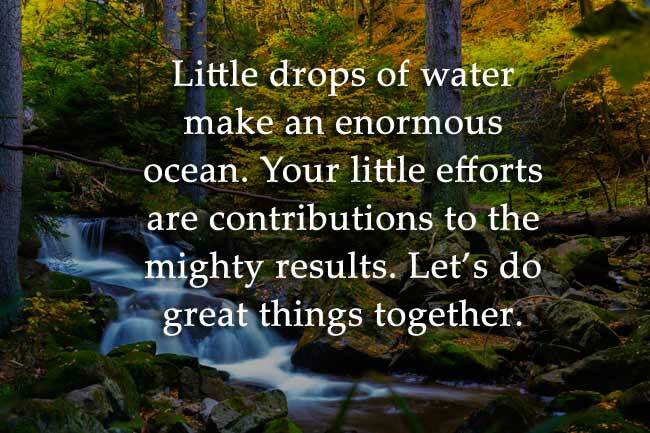 Your little efforts are contributions to the mighty results. Let’s do great things together. Make your mind not worrying but thinking. Stop worrying about bad things and start thinking about a good way out of your problems. You will have challenges, No matter how much success you make. Challenges are not for failures because they prepare you for others. When people with dirt at you just brush it off. But don’t be the cause why they through dirt at others. We are all made different from each other. So, don’t expect everyone to be like you. Live every day as there is no past and future. Concentrate on today. You have nothing to prove to them who don’t know your worth. You are only one who knows you more than anyone. Don’t be discouraged of doing harder challenges. The blacker the coffee, the more effective the result. Friendship is a heavenly relation. Friends are soul mates. So we should keep expressing our love, caring for our friends. We hope these collection of message for best friends will help you to show your love towards your best friends. Also if your friend now at long distance from you then you may like to read Long Distance Friendship Messages.